This past week, actually for the past two weeks, Emily has been working on a project she was assigned by her after school science teacher. He had asked each of the students to make a diorama of a tsunami. Normally Emily is not a self motivated student, but this time she made me proud. She envisioned her tsunami as a mini 3d wave headed for the beach. It took me a few days to think what she might use to make 3d waves and how the viewers of her project would see the fault in the sea floor that causes the waves that form the tsunami, but I prevailed. Carvable floral foam covered with paper mache on a cardboard base did the trick. She was also fortunate that I keep boxes of every kind. I had just emptied a plastic cutlery box that had little windows in the lid. So, she used the bottom of the box to build her sea floor in and used one of the windows from the lid to make a view port. Of course it didn't occur to us immediately that when the solid wave top was resting in place it would be too dark to see inside. But never fear, my creative daughter ran to her room and returned with some light up shoe lace lights from her last birthday that she never used. When glued to the bottom of the wave base they can be turned on revealing the inside of her magnificent ocean floor! In between advising her on her diorama assembly and other home school assignments, I began the bake and freeze cookie regime I mentioned last week. So far I have the chocolate sugar cookies, the Swedish butter cookies, and the snicker doodles done. And I must admit that the chocolate sugar cookies were tasty even without icing. 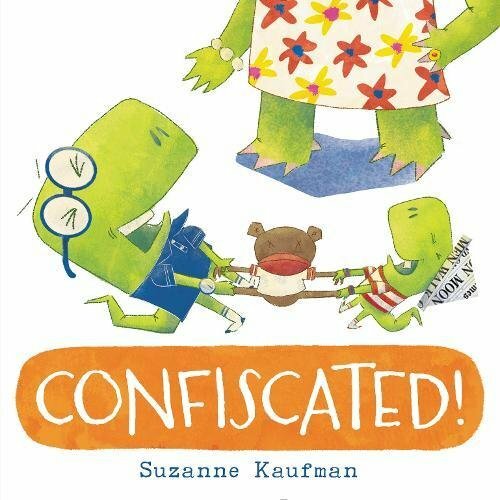 And last but not least, I read an incredibly fun picture book titled, CONFISCATED, by Suzanne Kaufman. This book resonated with me because it reminded me of my nieces when they were little. They were two years apart in age and constantly fought over everything just like the brothers in this book. I remember one particular shopping day with my sister in which one of the girls found a small blank piece of paper on the floor, and the two squabbled and squabbled over that tiny piece of nothing. The brothers in CONFISCATED squabble too. So much so, that their mom takes away everything they fight over until they have nothing left. The boredom is more then the two can take and they begin to talk to each other and share good memories. One memory is of a red balloon. In an effort to sneak the red balloon from the confiscation locker, they end up making a bit of a mess. You probably want to know how their mom reacted to that, but there will be no spoilers here, lol. So go grab a copy from your library or get a copy of your own. Well, that about wraps it up for this week. Join me next week for another exciting episode, same crazy time, same crazy channel. Also be sure to drop by Literacy Musings Mondays for more great blogs as well as my personal website Fun With Aileen where you will find more on reading, writing, and my very own chapter and picture books. And finally, you can find me on twitter @AileenWStewart if you want an extremely brief glimpse into my days. Thanksgiving is over and Christmas is just around the corner. This means the decorating has commenced. The family tree is up and decorated. Emily's tree is up and decorated. The dining room is fancy and festive. And I'm in the midst of putting up my Christmas village. Besides decorating, I'm preparing my plan of attack for cookie baking this year. 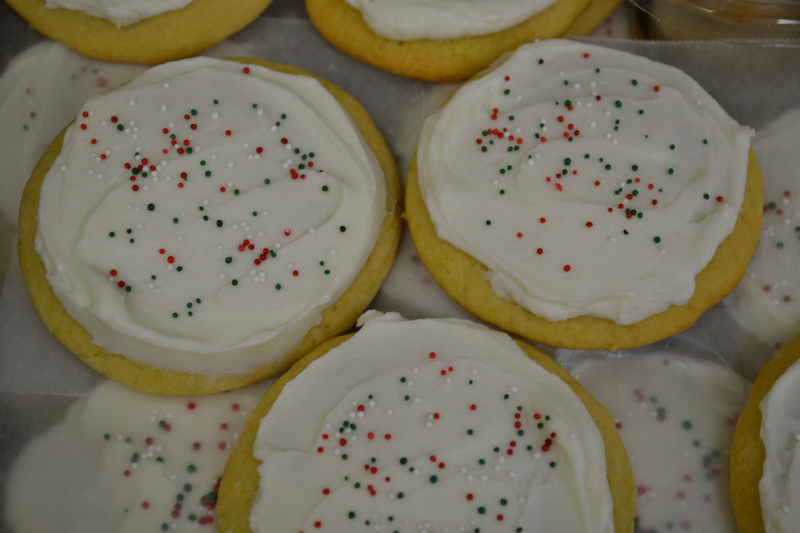 Normally, I just wait until Christmas has almost arrived, and I start baking random cookies. But this year, I'm starting early. I've decided to bake several cookies that freeze well and when it's time, I will simply take them out and decorate them. This will allow me ample time to bake the cookies that don't freeze well. 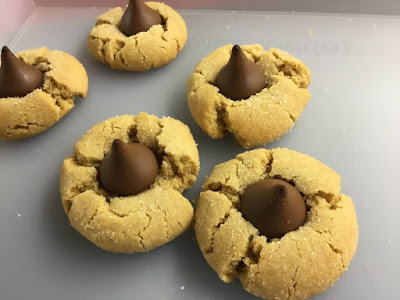 I always bake some staple cookies that are family favorites like date nut pinwheels and Swedish butter cookies, but I also try new recipes each year (thank goodness for Pinterest). This year I'm going to try Chocolate Sugar Cookies and Puerto Rican Coconut Cookies to name a few. 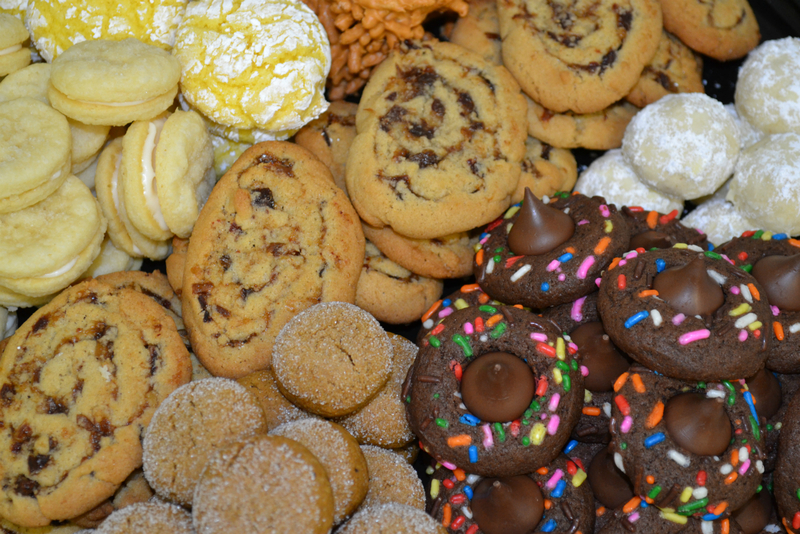 And because I am passionate about photography as well as baking, cookie variety is key. Colors and textures must be plenteous and a few cookies with fancy sprinkles or decorations don't hurt. Below are some of examples of bakes from Christmases past, and I can't wait to see what the photos for this year's cookies turn out like. And in case you missed the word fancy being bandied about, that is the connection to the book I read this past week. 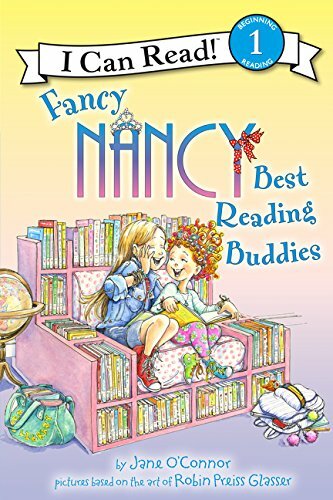 It is a I Can Read Beginning Reader title Fancy Nancy Best Reading Buddies. If I didn't already love and recommend Fancy Nancy books, this one would definitely win me over. In this story Fancy Nancy has a reading buddy with definite flair and personality just like her. And when they aren't able to read together for a while due to unforeseen circumstances, Nancy grows sad. But don't fear, Nancy receives a surprise visit from her best-est reading buddy, and all is right in her world once more! As you probably know by now if you have been reading my posts for a while, I have a love of food. I manage my local farmers market during the summer, I bake for friends and family, and Emily has been cooking with me since she was four. I can pears and peaches, make apple butter, and Emily and I attend Cook Book Club at our local library. You could say, food is one of the foundations of our life. Food brings people together, brings comfort on sad occasions, brings joy at celebrations, and allows our creativity to spring forth. 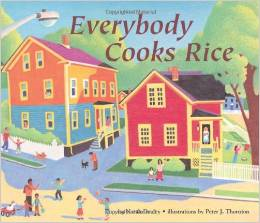 Food is a tie that binds people the world over, and so I thought it would be nice this week to review some books about cooking and food. 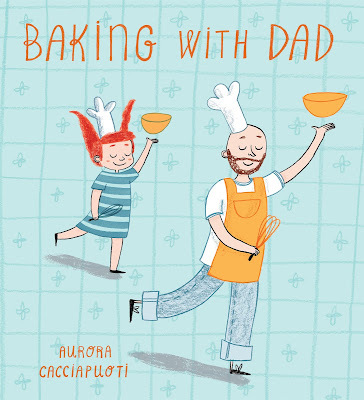 The first book I read was a short but fun book titled Baking With Dad. The story shows a young girl sharing a glorious morning in the kitchen making a masterpiece and a mess, and the masterpiece turns out to be a birthday cake for the girl's brother. 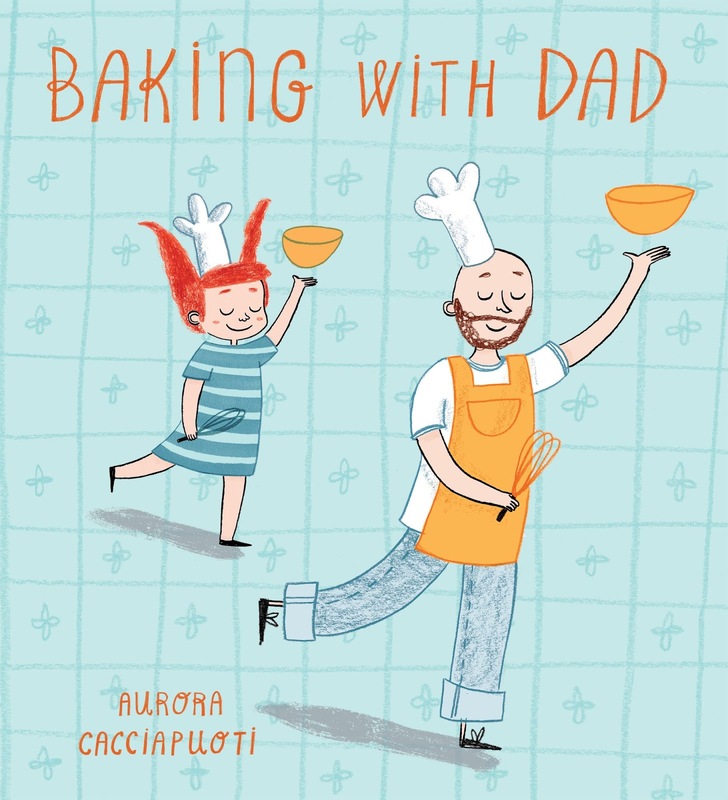 I like this book for several reasons, the first being that I love any book that positively displays a dad interacting with his children. Secondly, I love that a parent is passing on a passion for cooking. 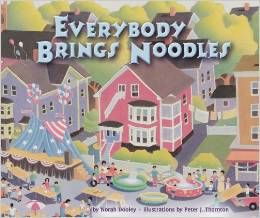 I also love the colorful illustrations that effectively show joy on every page. The second book I read was Blue Corn Soup. 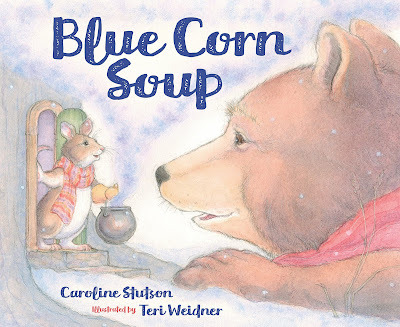 The story has a definite Spanish flavor as the main character is a Abuelita (grandma) mouse making blue corn sopa (soup). Several of her forest friends small the lovely aroma of Abuelita's soup and make their way to her house. But Abuelita's soup pot is too small to share, that is until she has the wonderful idea of everyone contributing something to the meal. 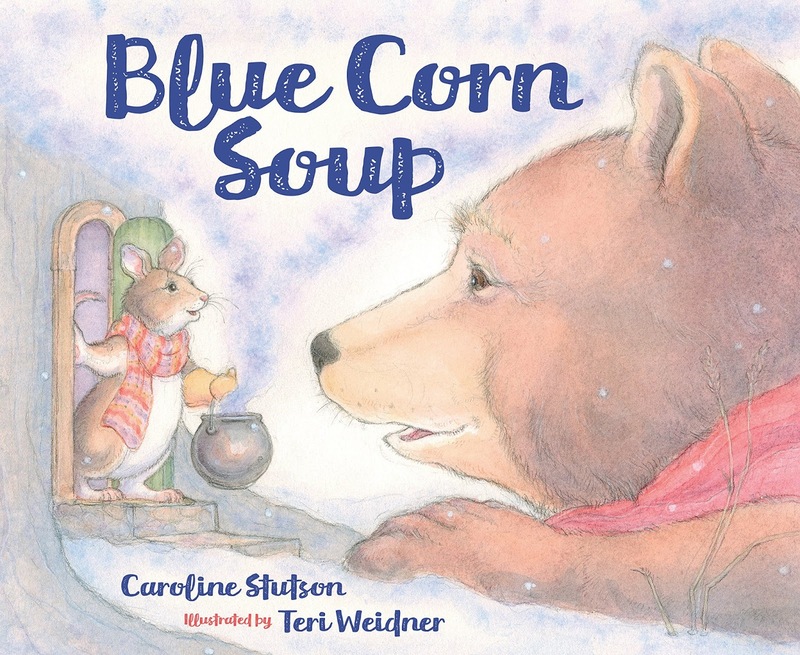 The story reminds me a lot of one of my favorite childhood stories, Stone Soup. 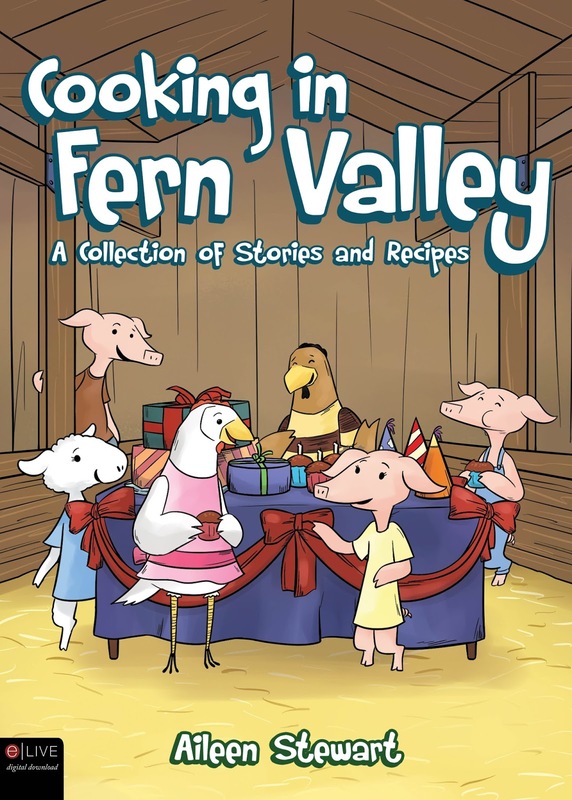 And of course there is my very own Cooking In Fern Valley. This past week was a full one. Emily and Bobby each had an eye appointment. Emily had her after school class and church. She had an orthodontist appointment. And she and I attended cook book club where this month's theme was apples and pumpkins. Emily tried a new recipe for chocolate chip pumpkin bars, and to be perfectly honest, both of us were wondering if chocolate chips and pumpkin was going to be a good combo. To our surprise, they were really delicious. I mean the kind of delicious where you can't stop eating them. This time around there were some leftovers, so Bobby tried them as well. He suggested they would be better with the addition of chocolate butter cream frosting, and since chocolate butter cream frosting is divine, I think we might just try that next time! I also started work on some microwave bowl potholders. My sister had asked me to make six sets of the soup bowl size for her coworkers last month, and they loved them so much they asked if I had any available to purchase for their friends and family members. I use an eight inch square I made from cardboard to make sure my fabric and 100 percent cotton batting are the correct size. I then sew a piece of fabric and a piece of batting from corner to corner making an x. Next, I fold the fabric/batting piece in half and sew darts that are 1/2 inch by 1 1/2 inches. When I have two such sections don in alternating fabrics, I place them right sides together and sew around the edges leaving a small opening on the last side so I can invert them. Lastly I sew the opening shut by hand. Mixed size set I made for my mom when she was still with us. You can find the tutorial I used here, but you will have to change the measurements like I did if you want the shape to be right. The eight inch is for a soup bowl and definitely keeps you from getting burnt when you reheat something like chili or soup in the microwave. The ten and twelve inch size works for serving bowls of larger sizes. 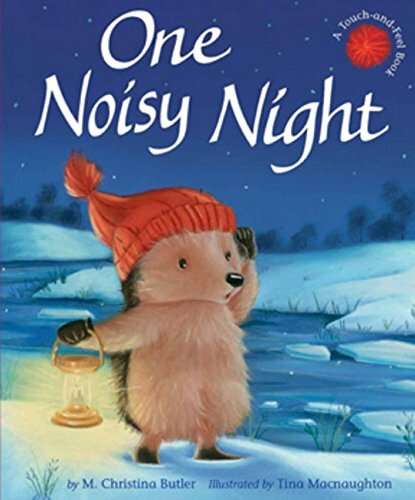 And last but not least, I read a picture book called One Noisy Night. This is a touch and feel book which is always fun for kids. All throughout the book there is a fuzzy little red stocking cap for the kids to feel. It belongs to Little Hedgehog, or does it? To find out, you'll have to read this story about Hedgehog, Fox, Rabbit, and Badger and the noise they hear in the night. The beautiful winter scenes make this a perfect book for this time of year. I've always been convinced that extraordinary days are days made up of ordinary moments we choose to cherish. And if that's really the case, then this week was extra extraordinary! The week started off last Monday with the workman showing up to start work in the basement on our epoxy floor. Ten years ago our basement took on water, quite a bit of water, and we had to have the basement people come and put in an Ever Dry System. This of course meant that we had to tear out the finished portions of our basement. Due to vehicle break downs, major appliances dying, and other such things, it took us this long to be able to put our basement back together, so the flooring being completed puts us oh so close to being finished which is definitely worth cherishing. Next, I decided to use up the orange marmalade our neighbors bring us back from Florida each spring. I don't have the heart to tell them we don't like orange marmalade, so I've had a few jars sitting in the cupboard for a while. When I searched for recipes on Pinterest, I found one for orange crockpot chicken. This seemed a perfect way to use up the marmalade and to cook a few recipes my mom handed down to me. As the holidays draw near, I more keenly feel her loss; so making fried rice and chicken won tons to go with the orange chicken brought me comfort. The following day, Emily was invited to a bowling birthday party. She put particular time and effort into making a card for her friend, and as usual, I was blown away by her creation. She looked for art samples online and found one she liked. Her modified version was so beautiful, Bobby even suggested she should keep the card and make another for the b-day girl. She just laughed. I also received a wonderful package in the mail from Mrs. Jene Daub and the North Tama second grade class. The kids sent me letters telling me how much they enjoyed my Quack and Daisy stories. One of my favorites ended with the following, "Warm regards from your friend illustrator Tyler." My hope is that all of Tyler's illustration aspirations come true. And I ended this extraordinary week by reading one of my friend's, Josh Funk, picture books titled Dear Dragon. 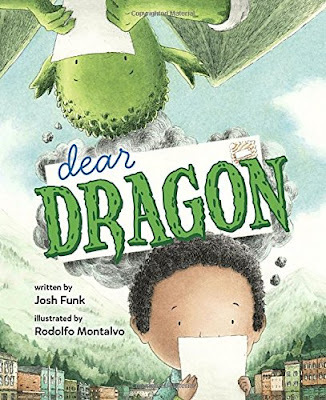 It is the story of how two very different teachers conspired to get their two very different classes to practice the art of letter writing and poetry by assigning each of them a pen pal. George and Blaise write each other diligently and can't wait to meet in person at the end of year picnic. You can imagine their surprise when they discover just how different they are, but they don't let that stop them from becoming the best of friends. 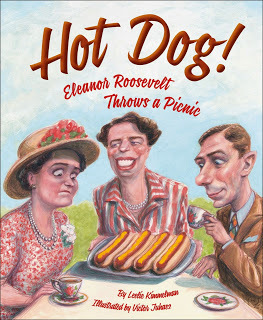 This adorable book is a definite must read! I decided when farmers' market ended that I was going to spend the fall and winter season trying new recipes, and I have indeed been doing so. This past week I made my first ever coconut cream pie which turned out beautifully and wasn't nearly as difficult to create as I had previously imagined. As I look ahead to this coming week, I think I shall use the orange marmalade from Florida that my neighbor gifted me to make easy orange chicken. I love Asian dishes, but have yet to try this one. I'm thinking it will pair perfectly with my fried rice and chicken won tons. I'll be sure to let you know next week how it turns out. Here at the Stewart house we have also been getting ready for the flooring people who are starting work on our epoxy basement floor this week. I'm so excited that our basement remodel is finally coming together and will hopefully be ready for Christmas. And last but not least, I read two books for review. The first is a retelling of one of my favorite Little Golden Book stories from my childhood, Country Mouse, City Mouse. 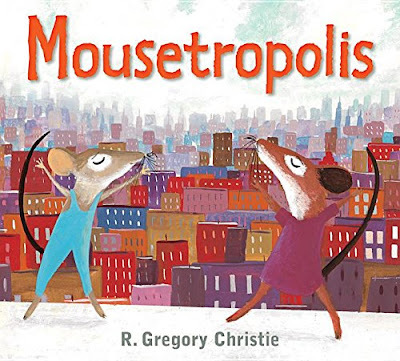 This version is titled Moustropolis and is both written and illustrated by R. Gregory Christie. I have to admit that I was a bit disappointed with this very modern retelling. It's just a personal thing, much like I don't care for modern art. The story just seemed a bit too sparse with words for my taste, but that doesn't mean you shouldn't find a copy and let your kids decide for themselves. The second book is a chapter book for beginning readers. It is just one of several in what appears to be a series and is titled King and Kayla and the Case of the Mysterious Mouse. The five short chapters are easy to navigate but lead the reader on an interesting mystery which Kayla and her dog King must solve. 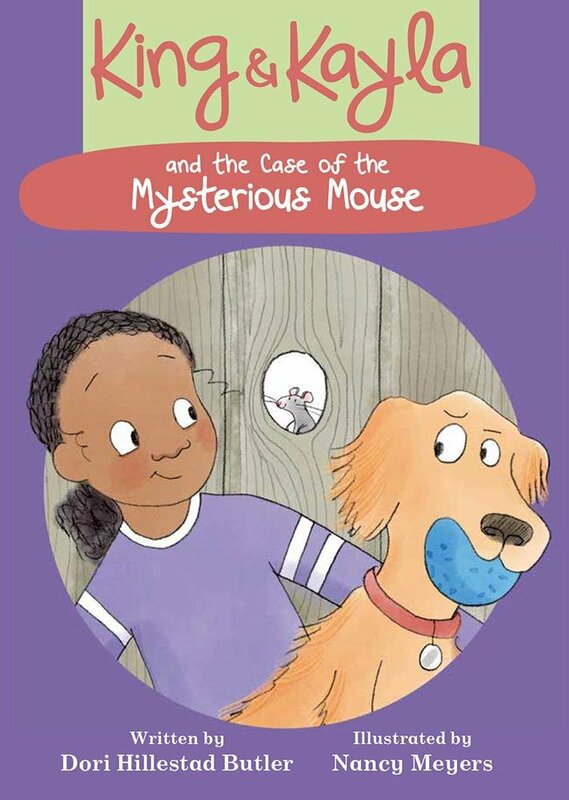 The mystery__ who is Mouse and what has he done with King's favorite blue ball? I love to win. I love to win sweepstakes. I love to win board games. I love to win prizes. I pretty much love to win anything. Don't you? My family won this week when I made them a triple berry pie. But I won as well with my discovery of a site called shop your way which is sponsored by Sears and K-mart. Not only do my reward points from Sears purchases accumulate, but there are also daily sweepstakes and instant win games. I haven't managed to win any prizes yet, but I have won quite a slew of points which I used to purchase a new orbital sander for half price after mine quit working. I also managed to snag free socks, spatulas, crayons, mascara, and screw drivers. This week I also won in the literary world. 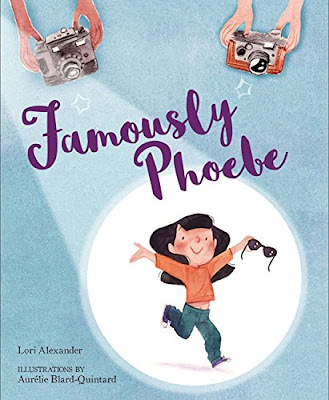 No, I did not receive an offer from an agent yet; but I did win a super great picture book by Lori Alexander called Famously Phoebe. Phoebe is a girl who has visions of grandeur because her family are always taking pictures of her. As I began reading about Pheobe, I thought about the hundreds of picture I've taken over the course of twelve years of my daughter Emily. And just when I thought I knew where Lori was taking me with her narrative, I was pleasantly surprised. Phoebe, however, was not so pleasantly surprised. She, who had basked in the glorious limelight shared with no other, suddenly found herself with a rival. This story of an only child losing her status because of the arrival of a sister is incredibly well written, beautifully illustrated, and just plain fun. So whether or not you have an only or a passel of kids, I'm pretty sure they will all enjoy Famously Phoebe. 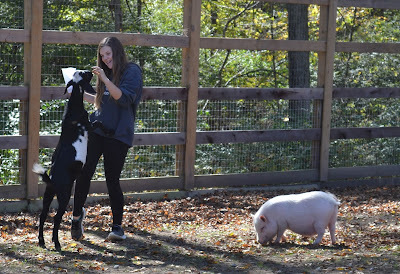 This past week we had the pleasure of taking a field trip with some fellow home school friends. The sun shone brightly, the breeze blew lightly, and we put on our science and history caps as we visited The Olentangy Indian Caverns in Delaware, Ohio. We saw first hand the capillary action of the water dripping through the bedrock. You know, that mineral laden water that a forms stalactites and stalagmites. I found this to be quite interesting since Emily has just performed a similar experiment for science with salt saturated water. We also visited the small museum at the entrance to the caverns and learned that the Hopewell Indians (one of the mound building groups of Ohio) had used the caverns back in the day. Another fact we recently read about in our Ohio History. 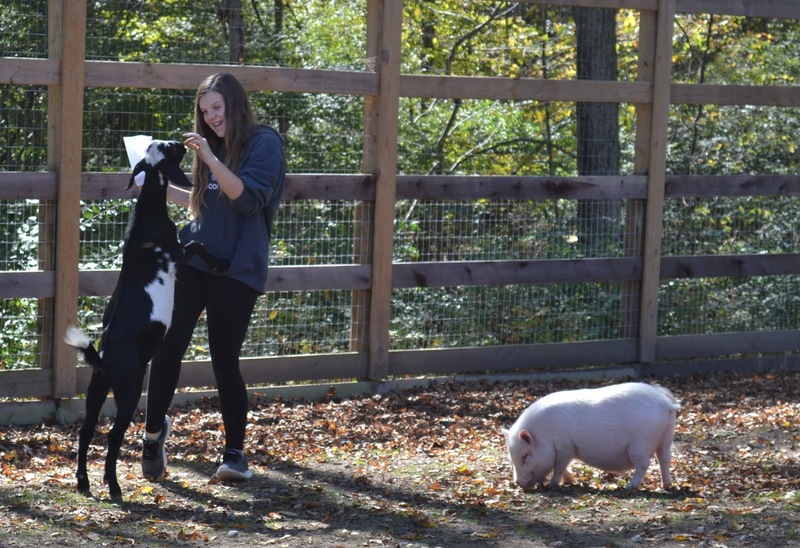 Emily also took a trip to the petting zoo to spend some time with the pot bellied pig, some goats, and some exotic cows. We even saw some beautiful deer in an other enclosure. It was a splendid day spent with friends, and it just so happens that one of the books I read this week was about friends as well. 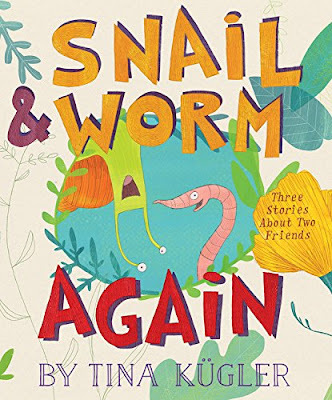 A sequel in the Snail and Worm series by Tina Kugler, Snail and Worm Again offers beginning readers three fun stories where Snail and Worm encourage each other and point out each of the other's best qualities. The second book, What Are You Waiting For, tells a tale of two friends who are waiting. 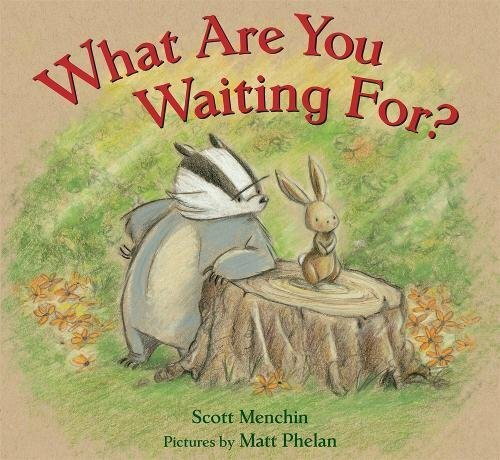 Rabbit is waiting but won't tell Badger what he's waiting for. All day long Badger asks questions trying to figure out what exactly Rabbit won't tell him. And as the day ends and Badger finally sees the long awaited object he is most excited. It is a very calm book but quite fun!